Does Life imitate Art, or does Art imitate Life? The debate rages on, and will not be crucial for this article. Here we will consider the important phenomenon of Art influencing Art, viewed through the lens of film history. An artist’s inspiration may be drawn from an array of sources, but when that source is another work of art, such a work can properly be considered influential. Every modern film owes some debt to history and to those who blazed the trails it follows. These iconic cinematic landmarks are the ones to be discussed here. The word influential is certainly not interchangeable with the word popular, though the two terms keep frequent company. Some of the most important films have slipped out of modern public favor, but remain no less valuable for this dubious distinction. The questions at hand for this list are: What films do the filmmakers study? What influences the influencers? Digging deeper into the history of an art form is essential to uncovering its vital nature, and cinema contains rich resources. These are some of the films which expanded the creative possibilities of cinema through their visionary ambition. With careful study, their lasting influence on movie making becomes clear. Some films capture the spirit of a generation, and define that spirit for the imaginations of future viewers. 1960’s Breathless did this for the decade which followed its release, and the film still retains a romantic, nostalgic feel which is irreplaceable. 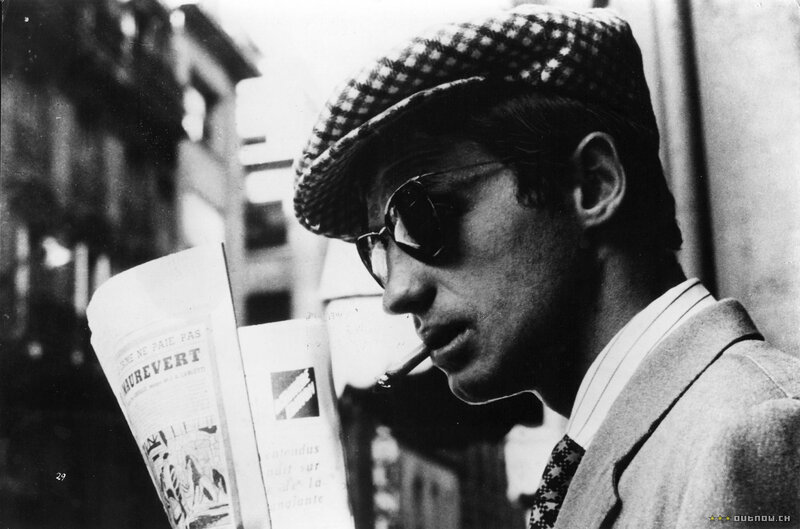 With an antihero who spawned many clones, this masterpiece of the French New Wave movement is still considered by many to be the epitome of cool. Its iconic depiction of rebellious, carefree youth became the inspiration for plenty of posters, songs, and other films. The protagonist in Breathless fancies himself a competent criminal, though the plot quickly reveals his amateurism. While driving a stolen car, he impulsively shoots a policeman, which plunges him into more trouble than he could have imagined. He hides out with his girlfriend, but she soon begins to suspect the truth as the consequences of the young man’s inflated self-image leave his life in tatters. Though the culture which birthed Breathless may have gone out of vogue, this film is sure to remain an influential and viable classic. A classic unlike any other, The Night of the Hunter is a beautiful escapist horror film, and one of the crown jewels of cinema. Charles Laughton’s first and only effort as a director turned out to be one of the most influential films in history. This film perfectly captures the surreal feel of a child’s nightmare, with a villain who would terrify those of any age. When a smooth talking, murderous preacher moves into town and starts romancing a local widow, her two children are the only ones who see his true motive. The preacher, played with devilish glee by Robert Mitchum, torments the children until they are forced to run away from home to protect their secret which he seeks. This black-hatted clergyman is one of cinema’s all-time great villains, and the sound of him crooning the old hymn “Leaning on the Everlasting Arms” makes for an unforgettable horror soundtrack. The stark black and white cinematography hearkens back to the style of German Expressionism, and echoes the battle between good and evil which it shows on screen. Sharp, angular lines contribute to the viewer’s sense of unease, and evoke the dread that the young protagonists must surely be feeling – alone in a big world. 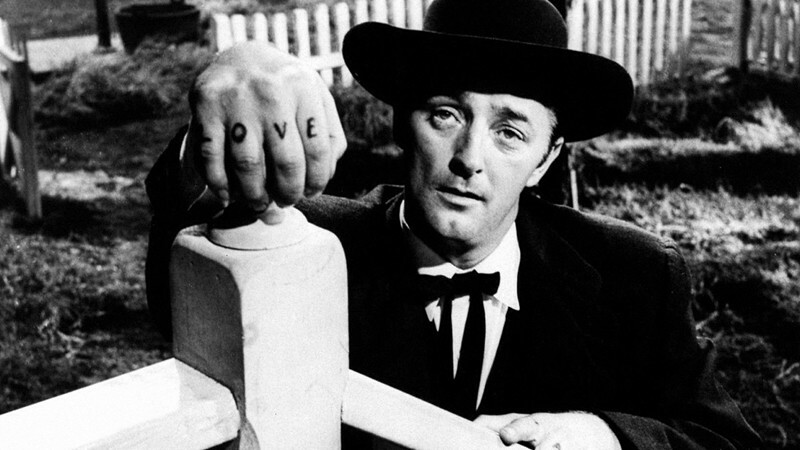 Though it met with little success in its day, The Night of the Hunter found renewed life in the eyes of future directors who recognized the genius it contained. Lawrence of Arabia stands as perhaps the most effective epic biopic ever created. Making a good biographical film is a tough line to walk: it can err on the side of being so historically literal that it’s just boring, or fall into the trap of hero worship of its subject, making it ridiculous. British Lieutenant T. E. Lawrence was a fascinating figure, and this film approaches his life with a perfect mix of both honesty and creativity. 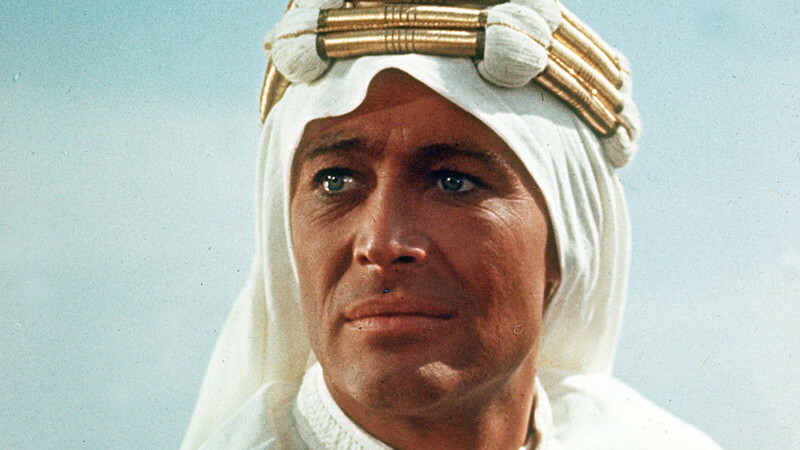 Peter O’Toole lends just the right tone to his performance as Lawrence, giving the character a proper blend of sympathy and realism; his acting charges this epic with the energy needed to sustain its lengthy runtime. 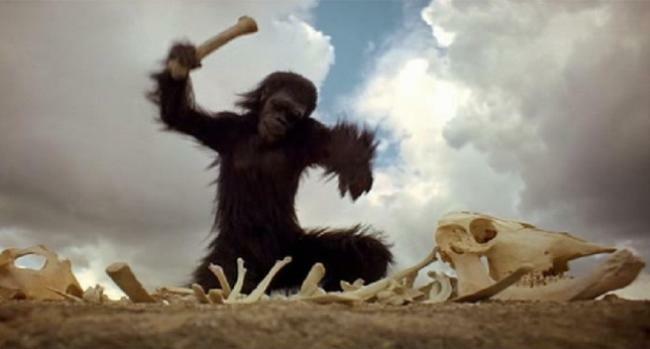 Lawrence of Arabia also created a successful model for using an inanimate object as a major protagonist in a movie. Sand in this film becomes a character that feels almost alive as Lawrence himself. The whole cast is surrounded by desert for nearly the entire story, and it provides a home by turns hostile and benign. The daunting task of filming it in creative and interesting ways throughout required the skill of a master, and David Lean succeeded wonderfully. Both for the size of its scope and the adeptness of its execution, Lawrence of Arabia remains a highly influential epic. Few films have influenced cinema as broadly as Seven Samurai has. It’s a classic blend of entertainment and philosophy that succeeds more wildly than moviegoers could have hoped. Its story is rich and layered: seven samurai strangers join forces to protect a small farming village from local bandits who periodically pillage their town and steal their crops. The film masterfully explores the character of each samurai and his interactions with the villagers, while weaving thoughtful discussions and philosophical “art of war” style planning into the mix. 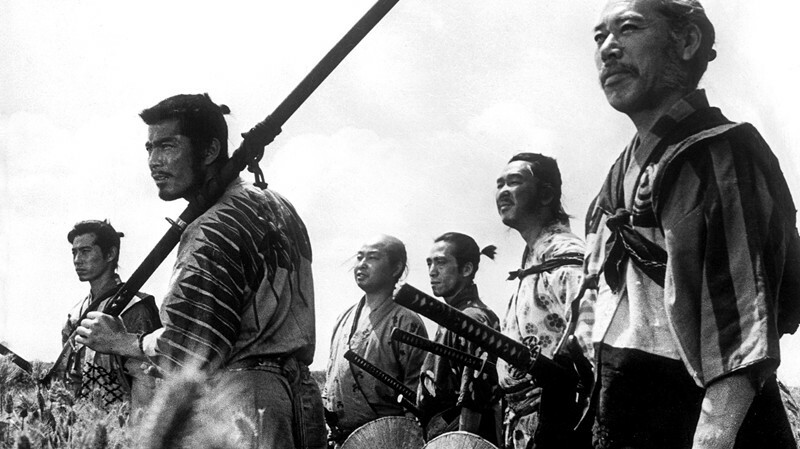 Seven Samurai wasn’t the first movie to use an all-star cast, but it certainly was one of the most effective. Throw a bunch of famous actors in front of a camera together, and anything could happen – they could hate each other; one or more could deliberately try to steal scenes; or their creative drives could clash with the director’s, leading to chaos. But in this film, nothing of the sort happens. When each character’s individual story is told, the actors have their time to shine; but when it’s time to work together, the chemistry is magical. The effectiveness of Seven Samurai is truly amplified by its cast of stars, and many future films followed in its footsteps. Silent films can be difficult to approach for a modern audience. After years of watching movies which rely heavily on overloading the senses with jump cuts and driving soundtracks, a silent film can seem boring or – even worse – pointless. The Passion of Joan of Arc is a good place to start though. It’s one of the most brilliant and influential films of all time, and it just happens to have no spoken dialogue; but its brilliant use of editing and camera angles say more than words could communicate regarding this story. As the martyr Joan is mercilessly questioned by a panel of hyper-zealous judges, her spirit remains strong even as her body weakens. The faces are framed brilliantly, with even the tilt of the camera helping to support the love or loathing we feel for the Joan and her judges. This film also contains one of the greatest acting performances of all time. “You cannot know the history of silent film unless you know the face of Renee Maria Falconetti… To see Falconetti in Dreyer’s ‘The Passion of Joan of Arc’ (1928) is to look into eyes that will never leave you” – so wrote the great critic Roger Ebert is his review of this film. Her performance here is a perfect example of how one person – the right person – can carry a film all on her or his own. In silent films, a performer’s face must naturally help to convey what words or sound cannot; Falconetti’s acting here is so effective that any sound added would have only diminished it. 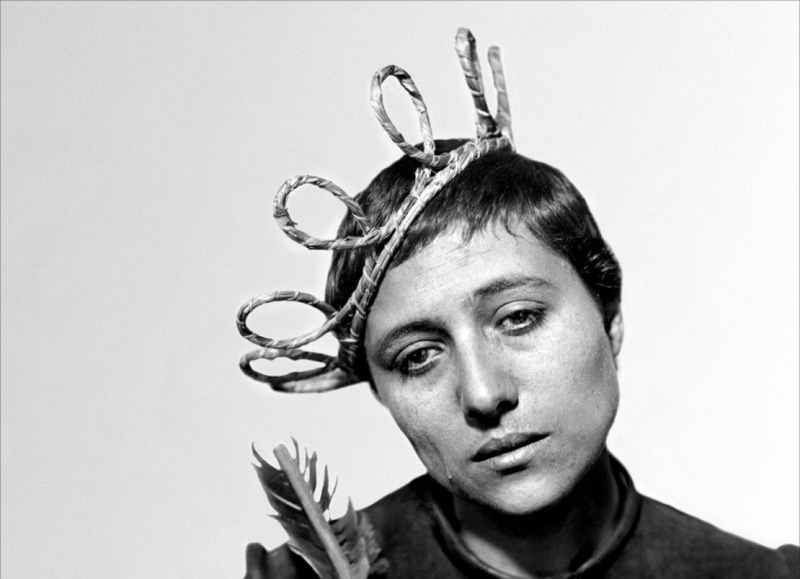 The Passion of Joan of Arc is exciting, engaging, and transcendent; it serves as the perfect example of the timeless power of a great silent film.